“Dark Side of the Moon” – released August 15th! Les Wood has had several short stories published in various anthologies and magazines. He was a winner of the 2002 Canongate Prize for New Writing and a prizewinner in the 2004 McCash Scots Poetry Competition, and also shortlisted in 2008 and 2009. More recently, he was the winner of the 2015 HarperVoyager/British Film Institute Science Fiction short story competition and his short story A Distant Feeling is shortly to be published online by HarperVoyager. Writing in English and Scots, Les’s work covers a wide range of subjects – from gritty crime thrillers to speculative fiction to pastoral poetry. 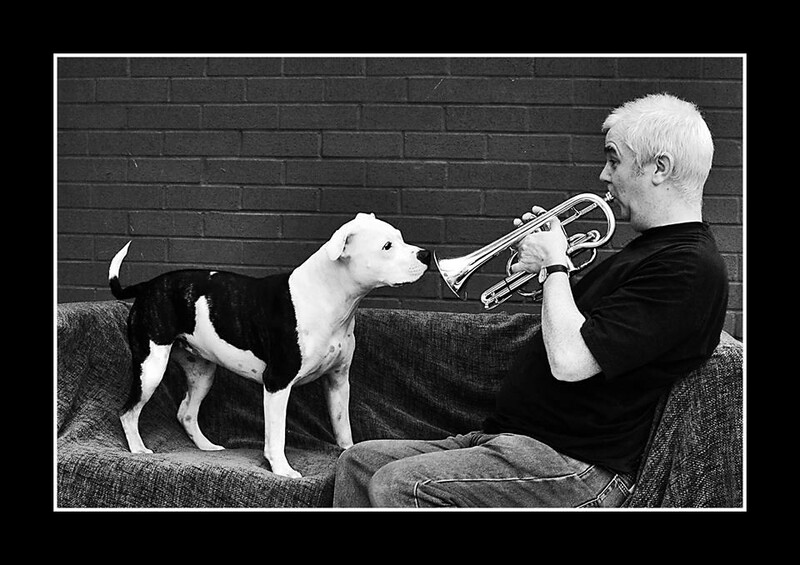 Les is also an accomplished brass musician – Skye the staffy likes to hear him play.